John Cannon, owner of Cannon Law Firm, PLLC, is a JAG attorney. He has experience defending and prosecuting a multitude of military criminal cases, including Court-Martial. Court-Martial proceedings are governed by military specific law. The Uniform Code of Military Justice (“UCMJ”); the Military Rules of Evidence (“MRE”); the Rules for Court-Martial (“RCM”); and other administrative rules govern military proceedings. There are three types of Court-Martial: Summary Court-Martial (“SCM”); Special Court-Martial (“SPCM”); and General Court-Martial (“GCM”). The SCM is the lowest level Court-Martial. It is designed to deal with minor offenses or infractions that warrant more punishment than nonjudicial punishment (“NJP”). One officer acts as judge, prosecutor, and defense attorney. He/she is required to impartially consider all the evidence and material available to reach a just result for the service member and the command. A service member has the right to deny trial by SCM. However, the result may be referral to a SPCM or GCM, which has harsher punishments. The service member may present evidence/witnesses. He/she may testify under oath or remain silent. Additionally, he/she may present motions to the officer. The service member may testify or remain silent and present matters in extenuation and/or mitigation in sentencing, if found guilty. Special Court-Martial is more serious than a Summary. It is designed to handle serious military specific infractions and minor criminal conduct. , Special Court-Martial is heard by a panel of three commissioned officers, unless the service member is enlisted and elects for an enlisted member. Additionally, the service member may elect for trial by judge alone. The financial implications in a SPCM are greater; bad conduct discharge is a potential, with career and personal implications; and confinement is an option for the commander. It is essential to consult with experienced military criminal defense counsel prior to entering SPCM proceedings. Military Law enforcement agencies, such as CID, investigate allegations and present them to the chain of command. The command will consult with the military justice JAG team, i.e. trial counsel, prosecutor, government counsel, and decide on the proper course of action, including: NJP, Adverse Administrate Action, Administrative Discharge, or Court-Martial. If the commander decides Court-Martial is the appropriate course of action, he or she will “prefer”charges against the member, which is the formal notification by the command to the service member that the command believes the charges are accurate and notifies the service member of the initiation of the Court-Martial procedure. GCM’s carry greater penalties than other Court-Martials and therefore provide service members greater rights prior to the imposition of punishment. Investigating Officers conduct Article 32 hearings before Court-Martial. The Investigating Officer must determine, similar to a magistrate judge in a criminal case, whether reasonable grounds exist to believe an offense has occurred and the accused committed it; whether the charges are in the proper form; and the appropriate level of disposition in the case. Upon conclusion of the Article 32 hearing, the Investigating Officer makes recommendations to the Convening Authority, which are not binding on the Convening Authority. Court-Martial proceeds, if the Convening Authority refers the case. The Convening Authority may dismiss any charge, specification, or the case as a whole. Trial in a GCM is very similar to federal criminal trial with the addition of multiple rules and procedures. Before the presentation of evidence, the military judge and counsel will confer and reach a resolution on motions and matters of law, which can significantly impact the outcome of the case. Next, the accused enters his or her plea prior to the case commencing before the judge or panel. After a guilty plea, the judge will ensure the plea(s) is knowingly and voluntarily entered and the accused is providence to the specifications and stipulations of fact. Following a not guilty plea, the “findings” or guilt v. innocence phase of the Court-Martial begins. The findings phase in a military Court-Martial is similar to state or federal criminal trial. The panel can convict you on any offense by a two-thirds vote of the members. Sentencing and punishment immediately follow a sentence of guilty on any specification or charge. 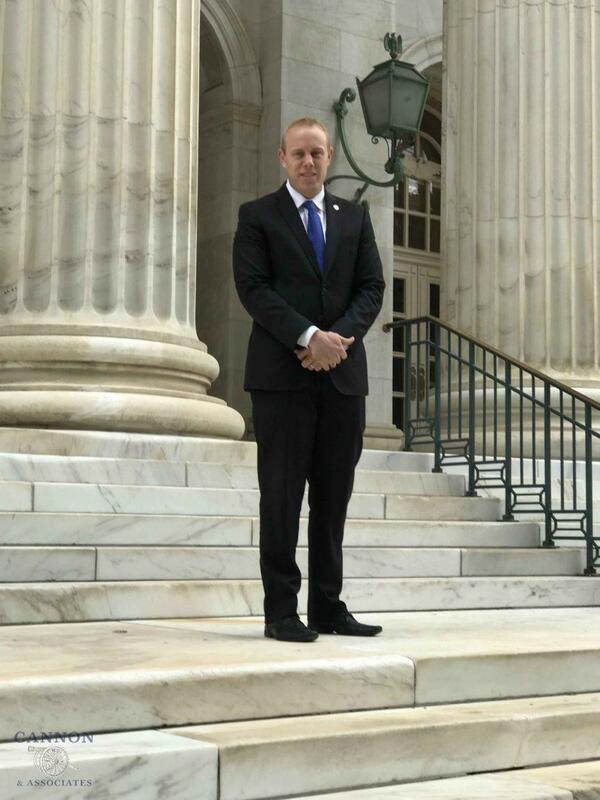 John Cannon, owner of Cannon Law Firm, PLLC has been honored by being identified as a Top 40 under 40 in Criminal Defense by the National Trial Lawyers Association. Contact Cannon Law Firm to protect your freedom, your future, and your story. You may send an email inquiry, complete the contact form on the website, or call at 405-888-7369.